The royal couple have also announced that Princess Charlotte will attend the Willcocks Nursery School in London from January 2018. 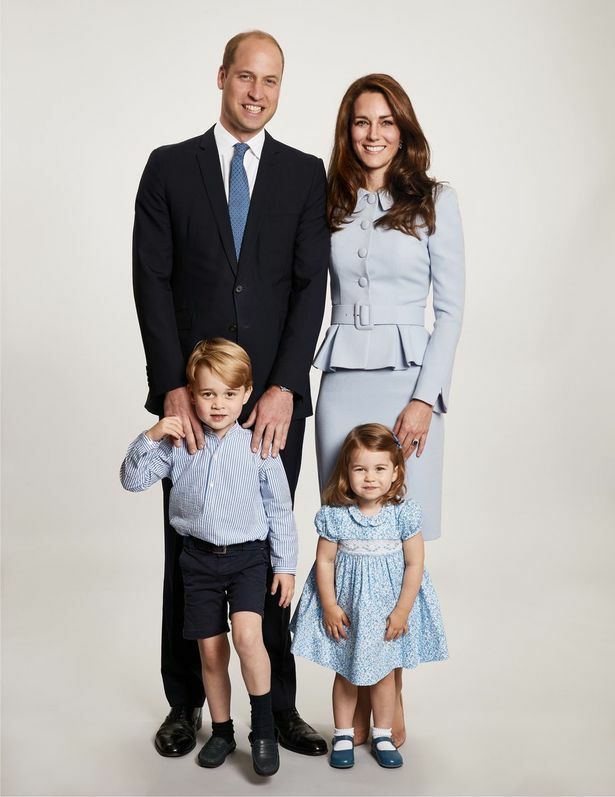 Kensington Palace tweeted the photo with the caption: “The Duke and Duchess of Cambridge are pleased to share a new photograph of their family. It shows the Duke and Duchess of Cambridge stood proudly with little George and Charlotte. The happy family of four are all wearing baby blue and have beaming smiles on their faces. George – wearing shorts- is standing in front of the Duke, holding his hand, while Charlotte stands in front of her now-pregnant mum wearing a pretty flowing dress. Wishing you all a very merry Christmas with your families!